Giacomo Rojas Elgueta is an Associate Professor of Private Law at the University of Roma Tre Law School and a Licensed Full Professor of Comparative Law. Giacomo earned a LL.M. with distinction and a S.J.D. from the University of Pennsylvania. He was a Visiting Scholar at Yale Law School. He is the author of three books and several articles in major Italian and U.S. law reviews. He consulted the Italian Government for law reforms on bankruptcy law, trust law and security interests. Giacomo is admitted to the Rome, Italy (2004) and New York Bar (2010). 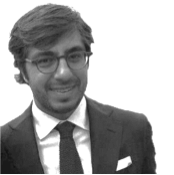 Giacomo is Co-Chair of ArbIt (Italian Forum for Arbitration and ADR) and is actively involved in commercial and investment arbitration as counsel, expert witness and arbitrator. Giacomo has acted as sole arbitrator and co-arbitrator in various arbitration proceedings, both ad hoc and under the rules of the ICC and the Milan Chamber of Arbitration with seat in different countries including Italy and Switzerland.